Combination oral contraceptives contain synthetic versions of both estrogen and progesterone (progestin), which prevent pregnancy by controlling the menstrual cycle. Aside from acting as an effective and easy to use form of contraception, birth control pills may help to reduce symptoms of PMS, normalize periods and manage acne. There are negative side effects of taking birth control pills as well. Many of these unwanted effects, such as nausea, spotting and breast tenderness, are minor. Others, such as an increased risk for blood clots, may be dangerous. Estrogen, which promotes blood coagulation and can affect blood lipid levels, may contribute to the increased risk of health problems such as cardiovascular disease and the formation of blood clots. This is why estrogen levels in birth control pills have been progressively decreasing. When the potential dangers of oral contraceptives were first recognized over thirty years ago estrogen levels were as high as 75 to 100 micrograms. Today pills contain 50 micrograms. Low estrogen birth control pills contain from 20 to 35 micrograms (low dose pills contain from 30 to 35, very low dose pills contain 20 micrograms). Who Should Take Low Estrogen? Should you take low estrogen oral contraceptives? The health risks associated with combination birth control pills are very low for healthy women. For those who have a history of blood clots, high blood pressure, vascular disease, strokes, migraines or any other problem associated with blood circulation and circulatory health, low estrogen pills offer a safer alternative to high dose pills. Women who are at a higher risk for heart disease because of age (over 35) and those who smoke may want to consider contraceptives with lower estrogen doses as well. Some may even want to consider taking progestin only pills if there is a history of circulatory problems, a history of breast cancer, liver disease or if breast-feeding. Ultimately, this is a decision that each individual should make with her doctor. Looking at your health and lifestyle habits, it may be suggested that birth control pills that contain lower amounts of estrogen be taken. What difference does it make to take low estrogen pills? Are they effective for preventing pregnancy? What are the side effects? 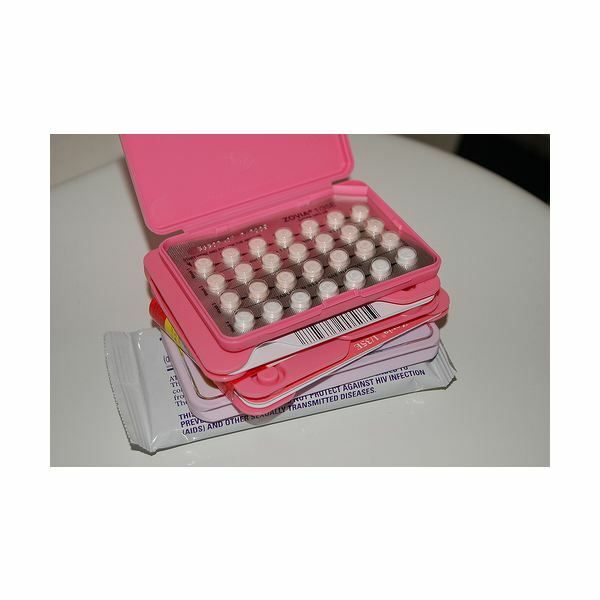 Low estrogen birth control pills are just as effective as high dose pills. When taken properly oral contraceptives are highly effective — only three out of every one thousand women will become pregnant. Missing a low dose pill however increases your risk of becoming pregnant more than if a high dose pill was missed. Low estrogen pills pose a reduced risk of blood clots and heart disease, although side effects such as nausea, breast tenderness, headaches, and spotting are still possible. There are many low estrogen pills available today. Mircette, YAZ, Alesse, and Lybrel are all brand name very low dose pills. Yasmin, Seasonale, and Seasonique are low dose pills. If you believe you may benefit from lower estrogen levels, talk to your doctor about what oral contraceptive you are taking. Also, let your doctor know about side effects you may be experiencing. Oral contraceptives are generally safe, especially for healthy women. Choose the pill that is the safest for you.